1. Henley Rowing Collection - Embroidered Logo and Personalisation. This large range features an embroidered logo on all of the items. There is the choice of the 'retro' logo as shown at the top on the left, or the '2019' logo as shown at the bottom. Many of the items can also be personalised with a large 'Crossed Oars' logo, your country flag and name, and your team name. 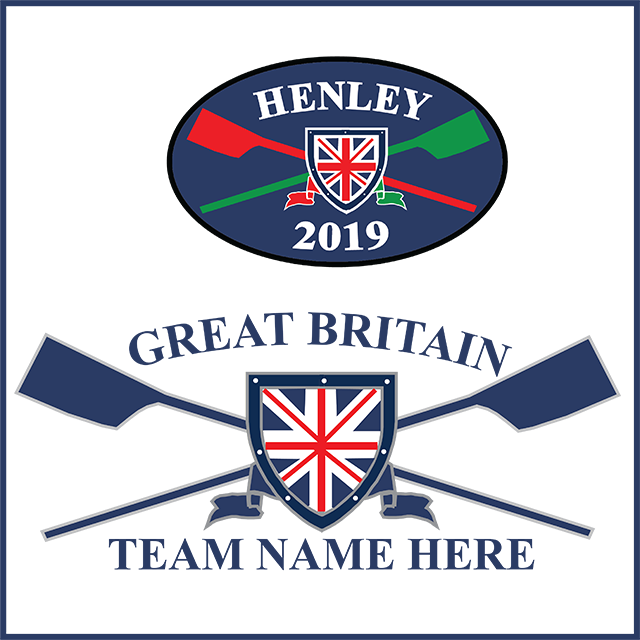 This range features the Henley Rowing logo for the current year on the front of the garments. The back is printed with a list of all the competing team taking part in this year's main regatta at Henley.